When I first saw this image I figured it was going to be a tutorial for coloring carnations. I had no idea that these weren't real. No idea that they were actually tissue flowers!! 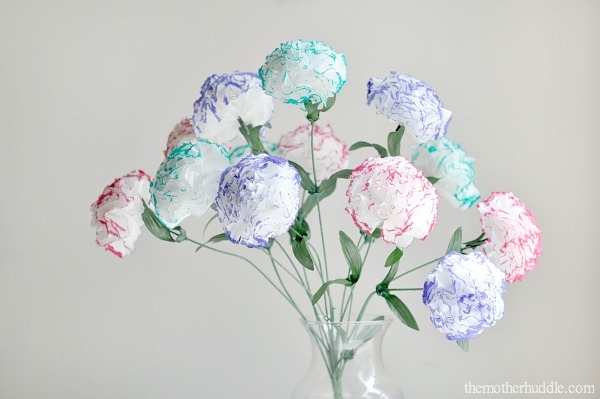 Paper flowers are a fun and inexpensive craft for your kids to make for Mother's Day and you can check out the tissue paper carnation tutorial at The Mother Huddle.